Singer Chris Brown is prepping the release of his heavily anticipated album. This upcoming body of work from Chris Brown will be his 6th studio album. Most recently, Brown dropped a visual to his latest single titled "Fly China." Of course many blogs and gossip sites claim that the main video girl is suppose to represent his ex girlfriend Karrueche Tran. Regardless, enjoy the video. Will and Jada appears to be giving their children the green light when it comes to doing things in the entertainment industry. Weather it is acting, singing, getting into fashion, or more that their children want to do, they get the opportunity. Most recently, Jaden Smith released a new video to his single titled "Hello." Enjoy. The NBA season is coming to an end, and the playoffs is around the corner. So it was a matter of time that a rapper do some sort of basketball related theme video or song. Joe Budden gets an assist from Wiz Khalifa and French Montana to give fans a video to their single titled "NBA." The message to the video is simply they will never go broke again. Enjoy. 50 Cent is often overlooked when it comes to music nowadays. However, hooking up with Kendrick Lamar, who many are calling the hottest rap at the moment, might get his buzz going again. 50 Cent is preparing to release his upcoming album titled "Street King Immortal." In the meantime, he released a single titled "We Up" featuring Kendrick Lamar. Enjoy. It seems like a long time since any rapper under Maybach Music has done a song with someone outside of their camp. Most recently it is rapper Meek Mill that gets an assist from his boss Rick Ross to give fans a new video. The video is from Meek Mills single titled "Believe It." Enjoy. At one point Young Jeezy was at the top of the rap game. His buzz died down over the years, but he still has a strong fan base. It seems like he is now back in the studio and giving people new projects. 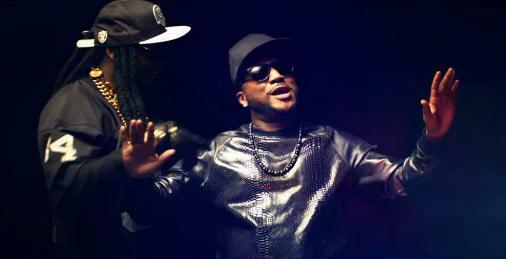 Most recently, he gets an assist from Lil Wayne and dropped a new video titled "R.I.P." Enjoy. It has been a while since seeing Akon do any musical projects besides managing his superstar artists like Lady Gaga. However, Wiz Khalifa (who just became a father with Amber Rose) was able to get an assist from Akon and give fans a new visual to their single. The song is titled "Let It Go" and is the third single from Wiz's album 'O.N.I.F.C.' Enjoy. When it comes to showing off their riches, rappers tend to be the most bashful. That is exactly what the theme of Wayne's new video featuring 2 Chainz is. The video below is titled "Rich As F***k" and is off his upcoming album. "I Am Not a Human Being II" is due out March 26. Enjoy. Believe it or not, Robin Thicke has five studio albums, and is working on his sixth. There are no details currently regarding his upcoming album, but he is back in the studio. In the meantime, he gets an assist from rapper T.I., and producer Pharell to give fans a new video. The video below is titled "Blurred Lines" and is expected to be off his upcoming album. Enjoy. After such a long break, singer Justin Timberlake took a break from acting and is coming back stronger than ever into the music world. After getting a lot of positive reviews for his Jay-Z assisted video "Suit & Tie" he is back with a new video. The video below is an 8 minute long single titled "Mirrors." His upcoming album, just like his current singles, are expected to destroy the competition and top the charts. Enjoy. Since signing with Rick Ross and Maybach Music Group, rapper Wale has officially launched into mainstream success. The interesting thing about the rapper, is that he still maintained his rap style and underground fan base. Most recently, the rapper gets an assist from his boss Rick Ross, along with Aaron Wess. The video below is titled "The Show." Enjoy. Beyonce is arguably the most successful solo artist this generation has seen in music. She is a new mom and doesn't have time to be as focused in her music as she once did. However, that did not stop her from sending a jab to her competition and reminding them that they can't compete with the Queen. Beyonce just dropped a single titled "Bow Dow." Here are a few lyrics and the full song below. Enjoy. It now seems so long ago that singer Omarion and his group B2K were at the top of the teen and r&b music world. Omarion was the only member of B2K that had a successful solo career, and today, he is trying to get that stardom back. Most recently, he signed with Rick Ross and his Maybach Music record label. His recent work consists of a video to his single titled "Paradise." Enjoy. Christina Aguilera has been living at the top of the charts for a pretty long time over the course of her long career. Pitbull has also made his way comfortably in a pop star as well. Now the two decided to get together for a single, and give fans a video as well. Below is a video to their single titled "Feel This Moment." Enjoy. It looks like the troubled young teenage rapper from Chicago is finally out of jail and back home. Believe it or not, Chief Keef and his camp decided to align his video released with his juvenile detention release, which was today. Here is the brand new music video titled "Now It's Over" off his upcoming mixtape, Bang Pt. 2. Enjoy. It seems like of all the members of Destiny's Child, Kelly Rowland seems to be the most sexually expressive with her music. "Motivation" many agree was the single that launched Kelly into a solid space as a solo artist. Now she is back with another freak type of video titled "Kisses Down Low." The song is set to appear on Kelly’s upcoming fourth album titled "Talk a Good Game." Enjoy. Directed by Clifton Bell, the Atlanta rapper has just a mini film to compliment his single. The trailer to T.I. 's single has been released last week, and has got fans heavily anticipating the video. The song below is the leading single from Tip's newest album titled "Trouble Man: Heavy Is the Head." The video is titled "Addresses." Enjoy. 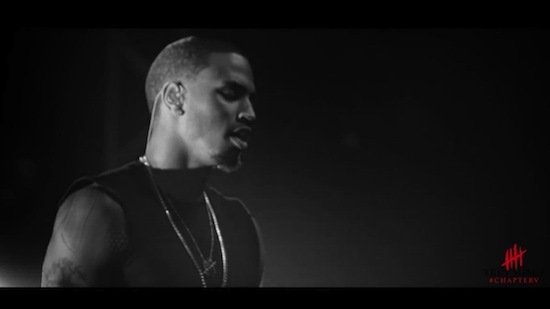 At one point not too long ago, r&b star Trey Songz was at the top of the music world in his genre. It seems like he cooled off for a bit, but Songz is back in the studio and giving fans new projects. Most recently, he dropped a visual to his latest single titled "Fumble." Enjoy. If you follow the drama between couples in hip hop, or watch the hit show Love & Hip Hop: New York, then you know about the history between Joe Budden and Tahiry. In the show she decided to get into the music business, and wrote a song asking Joe to be featured. They did not end up doing it for whatever reason, but Tahiry got Styles P instead. Now the song inspired by Joe Budden, titled "Devil" has a video. Enjoy. Even while doing American Idol and being a mom, Mariah Carey still found time to do not only a song, but a video for Disney. Her new single is titled"Almost Home," and is the feature to Disney's upcoming "The Wizard Of Oz" prequel titled "Oz: The Great And Powerful." Enjoy.